Another curiosity of Possidi Cape is its inclination toward changing shapes. This usually isn’t obvious in one day. But visiting the sandy promontory in a few-day interval may well introduce a different shape. Sometimes, the tip of the miniature desert may resemble a tip of a spear. The next time, it may transform itself into a hook or something entirely different. On a sunny day when the sea doesn’t evaporate intensely, views stretch far and wide. 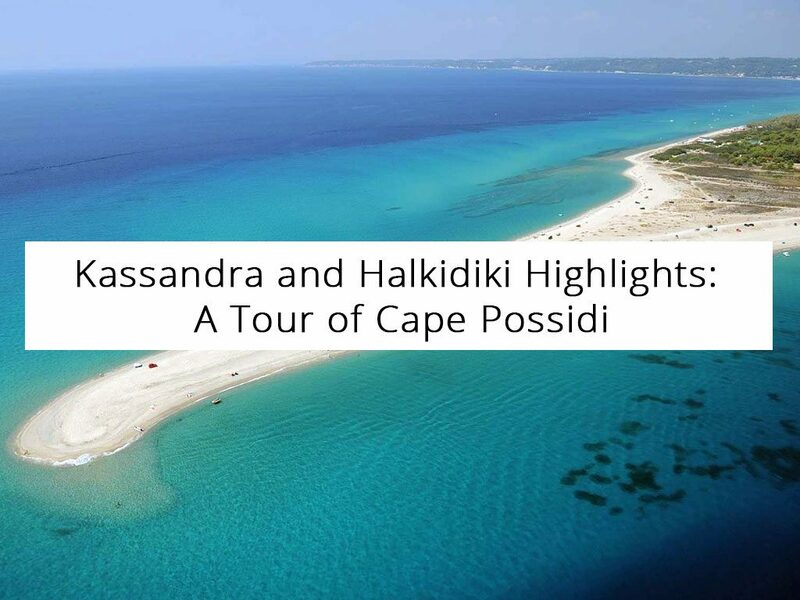 To the north, you can enjoy seeing the forested coastline of Kassandra’s western side. Across the Thermaic Gulf, Mount Olympus, the legendary home of the Greek gods, defines the skyline. Yet, visiting Cape Possidi may be as well interesting after rain. Here and there, a miniature lake tends to form in the sand, reflecting the cloudy sky. Possidi Cape is a long sandbar you can access by car. 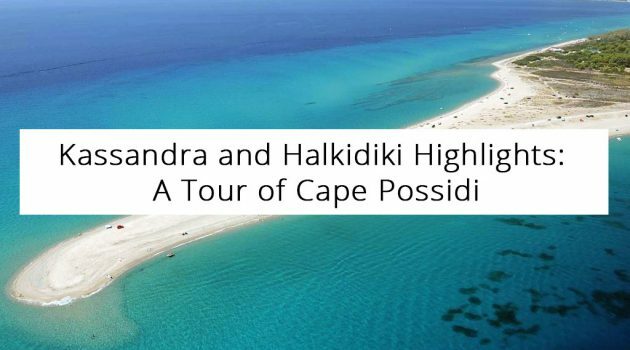 It is a few dozen kilometers away from bustling villages of the eastern coast of Kassandra, Halkidiki. Hence, the cape is almost never crowded. Bring water, snacks and parasols. The nearest shops and bars are a few kilometers away in the Possidi village and on Aigeopelagitika Beach. This statement doesn’t mean anything bad, of course. Just as the sandy desert changes its shape, it features different water currents. The side facing the open sea to the south features restless water with large waves. To enjoy calm waters, all you need to do is get to the western side, facing the Thermaic Gulf. Depending on your exact location, only a few-meter space may separate you from turbulent to balmy sea.